Rafa Cabrera Bello hopes to emulate the achievement of fellow Spaniard Jon Rahm by winning this year's Irish Open at Ballyliffin. The world number 24 won last year's Scottish Open and claimed a share of second place when the Irish Open was played at Royal Portrush in 2012. The 33-year-old will be joined in Donegal by 2016 Ryder Cup team-mates Matthew Fitzpatrick, Chris Wood and Danny Willett, the ex-Masters champion. The event will be staged from 5-8 July. The tournament, hosted by the Rory Foundation, will again form part of the prestigious Rolex series and Rahm has confirmed that he will defend the title he won at Portstewart last July. Cabrera Bello's record in the Irish Open to date is an impressive one, the Canary Islands native having also had two other top-five finishes and an additional top 10 to his name. Following his impressive debut performance at Hazeltine National in 2016, he will be hoping for a big summer if he is to have a chance of playing in a second Ryder Cup in Paris in four months' time. 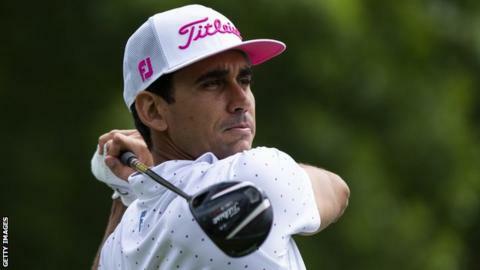 "I am really looking forward to returning to the Irish Open and playing in front of the Irish crowds again," said Cabrera Bello. "It is a tournament which has been very good to me through the years and I love links golf. "I have never played Ballyliffin but it looks like we are in for a treat in Donegal. I have had some good results on the European Tour this season so far, but I know I can play well and win on links courses so I'm confident of making that count and hopefully contending for the title in Ireland." Fitzpatrick is another who has finished in the top 10 at the Irish Open, while Wood is a three-time European Tour winner. Willett, another of the English contingent, was forced to retire during last year's tournament because of injury.